Jack Holder would have represented Panthers in the SGB Championship Pairs. The SGB Championships Pairs event was washed out tonight (July 21). 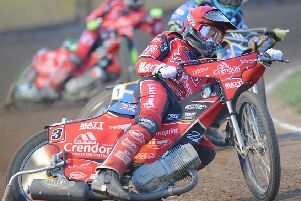 Chris Harris and Jack Holder were due to be representing Peterborough Panthers in Somerset. Holder now flies out to Poland for the first of three rounds in the World Under 21 Final in Poland on Sunday (July 23).